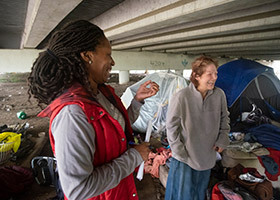 Before writing my feature on homelessness, my conversations with individuals experiencing homelessness were limited to a few words through a car window or a “hello” in passing. 1. 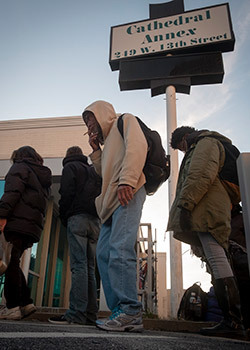 Each individual has a unique story under the blanket label of homeless. I met a man who “screwed up” when he was young and can’t find a steady job after serving 30 years in prison. “I don’t want disability, I don’t want charity. I just want to work. I want to be a man,” he told me tearfully. I spoke with Brigitte, a 21-year-old who lost her mother when she was seven and grew up with 15 foster families. A man who moved to Fort Worth with the promise of a job, which fell through. A woman who lost her job within days of fleeing domestic abuse. A veteran with PTSD who is having difficulty adapting to civilian life. Individuals suffering from mental illness or addiction. A man who went bankrupt paying his fiancée’s medical bills before she died of cancer. A low-wage earner working full time. Each person has his own particular story. 2. Physical possessions may be limited to what’s on their back, but many carried remarkable stores of hope and faith. 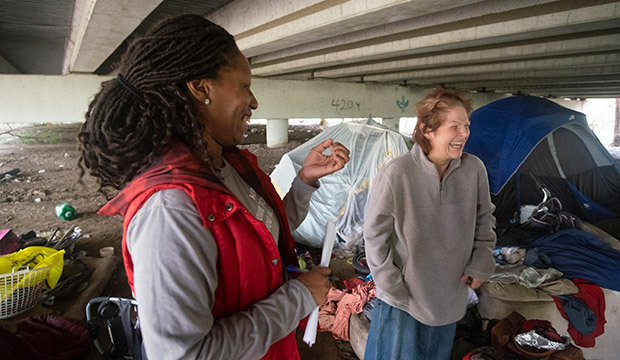 Nandora, whose Bible was close at hand, views her second bout of homelessness as an opportunity to minister to the homeless. Davin, who became homeless in July, is overwhelmed by the generosity of those who bring him a meal. They don’t possess much, but many expressed a profound appreciation to God and the community for what blessings they have. 3. They often share what little they own. At Christ Before Us, I witnessed Shay, who is expecting a baby in May, give her second sleeping bag to someone without one. Kirk, who has been homeless since 2012, split the $10 that someone gave him earlier with another person. And Todd, who lives with his wife in a makeshift shelter fashioned from pallets and tarps, gave his new sleeping bag to someone camping deeper in the woods. My conversations with individuals experiencing homelessness were limited to a few words through a car window or a “hello” in passing.